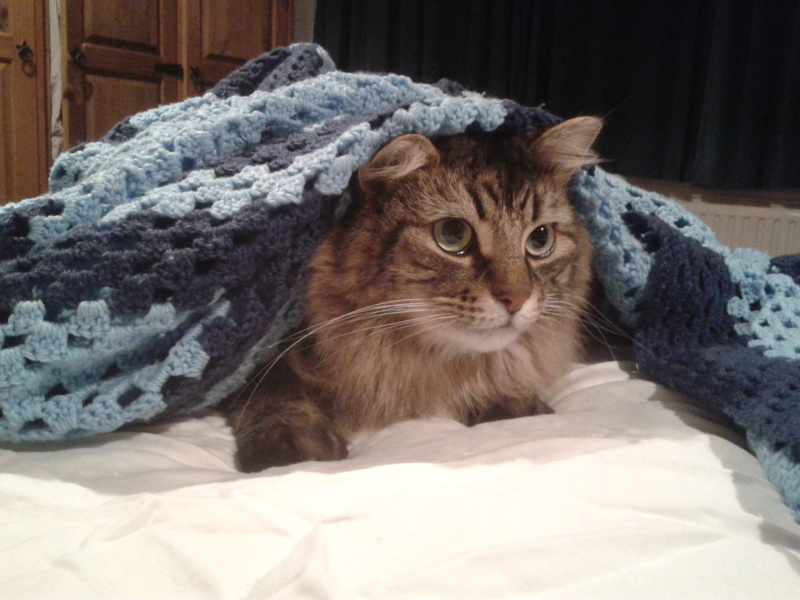 Kitty Stays Home is run by Sarah & Steve, two cat-lovers living in Barkingside. After several years of looking after neighbours’ cats while they are away on holiday, we have decided to offer our cat-sitting services slightly further afield! We are the lucky owners of two long-haired lovelies, Weasel and Twiglet, rescue cats who we adopted as kittens. 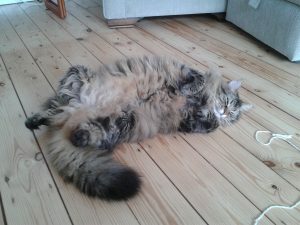 Weasel is a very fluffy, gorgeous, tabby, who likes eating, pouncing on his sister, eating some more, then having a little snooze. 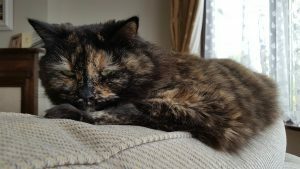 Twiglet is a dainty, black and brown tortoiseshell, who quietly puts up with her brother’s pounces while getting on with the job of being a cat (sleeping, and a bit more sleeping). Our previous cat family included George, Smirnoff and Radical, three kittens from the same litter who were with us for nearly twenty years. If you would like us to look after your cat, or if you have any questions, please get in touch! Error: Error validating access token: Session has expired on Friday, 15-Mar-19 12:38:10 PDT. The current time is Monday, 22-Apr-19 06:22:59 PDT.